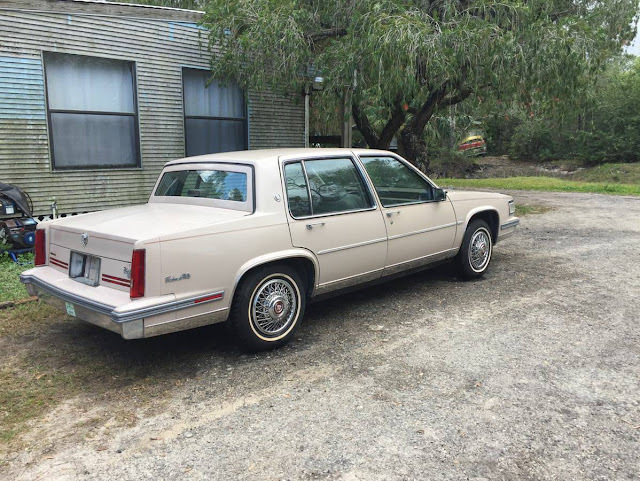 Nothing really drives quite like a late 1980s Cadillac... there is an amount of float to the handling that defies the laws of physics... it is like somehow the shock tuners at Cadillac invented an inverse damper, a forward feedback loop that adds harmonics to the driving experience. Take your dramamine. 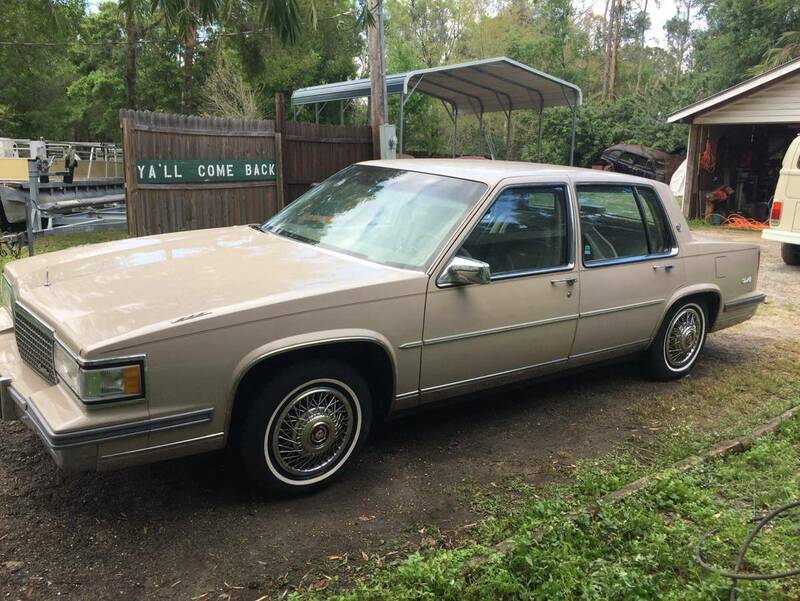 Find this 1988 Cadillac Sedan Deville offered for $1600 in Ft Myers, FL via craigslist. Tip from Dascpcu. Wow, that is a serious bargain. 43K miles, and only $1600?!? My view is that you don't have to LOVE everything about a daily driver. You could run this for quite a while practically for free. These do go down the highway really nicely (but I love your explanation of the physics of the matter, DT!). My wife owned an '83 Caddy. Biggest problem: old electrics failing constantly, either computers, or window regulators, or some other weird electrical problem. Also, once they get over 20 years old, all the suspension parts need to be replaced... I'm guessing this was grandma's car, and youngster doesn't want to be seen dead driving in it... oh, and avoid any Caddy with the Northstar motor (the motor that self destructed). I had not thought about this having a Northstar engine. Forget what I said about being able to run this for a long time, for free! I remember someone posted a link to an expletive-laced rant about the Northstar engine here on DT a few months ago. I learned a lot from it. Northstar came out in 92 I believe. I would roll the dice on this for $1600 for sure. Go to the thrift shop and pick u some Sinatra and Neil Diamond tapes.